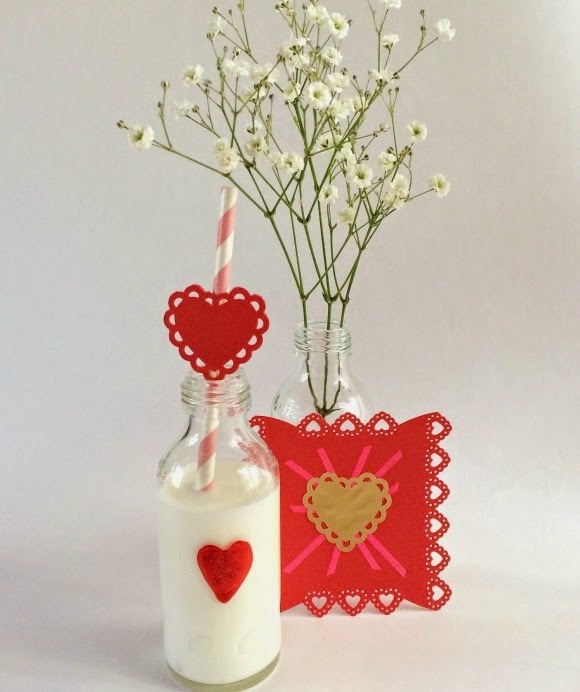 I worked on a simple yet cute Valentine's Day table setting with the help of my Martha Stewart punchers - used for the heart paper garland last week. 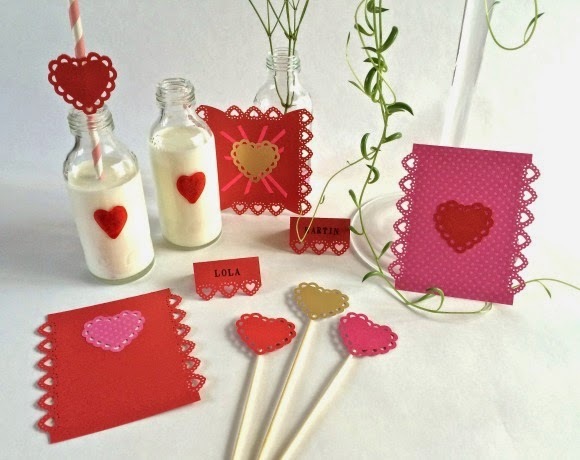 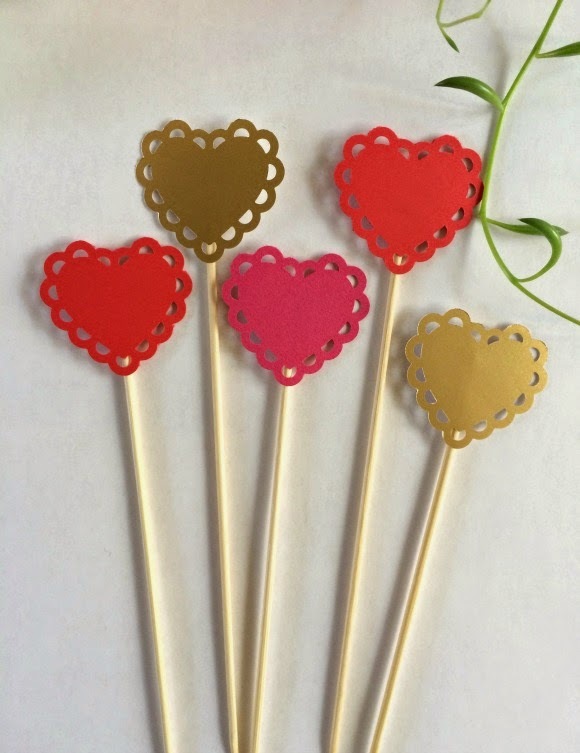 I am showing you below two other ways to use the paper hearts, glued on paper straws or used to create cute greeting cards. 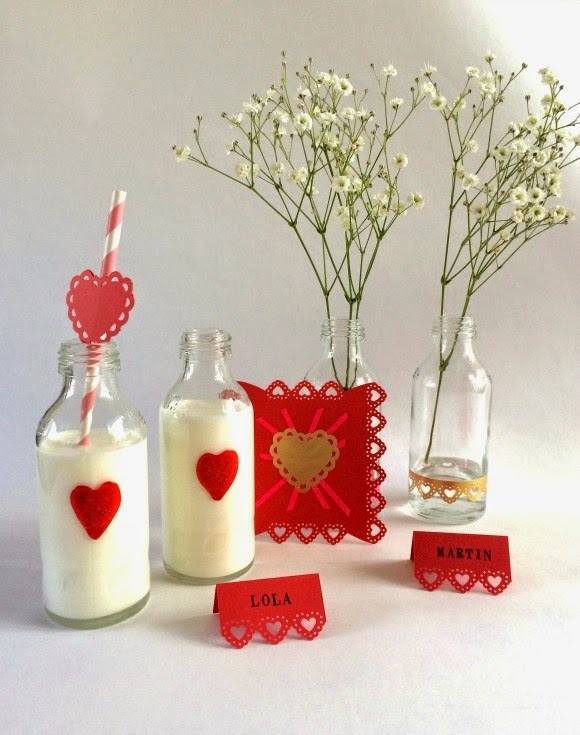 The red heart on the glass bottles were made using the same technique as for the window stickers - you can check the DIY post (click here to read). 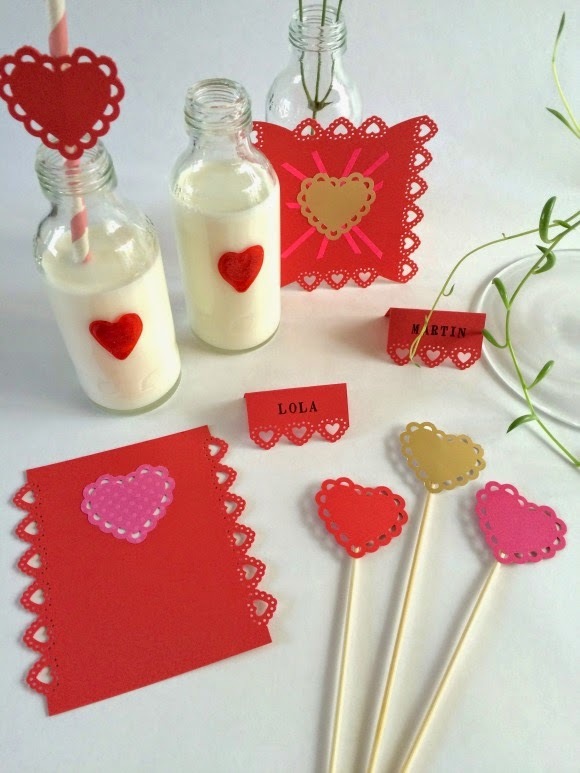 Are you preparing anything special for Valentine's Day? 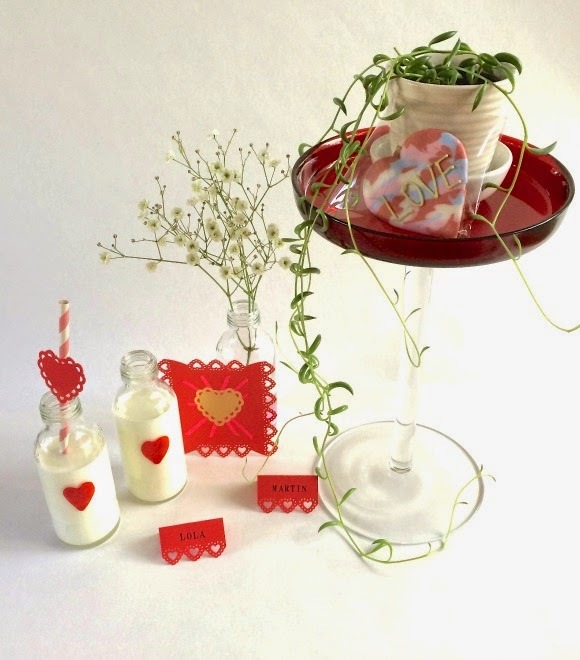 If you are interested in purchasing the two punchers used in this styling, you can check online on Amazon or in your local craft stores. 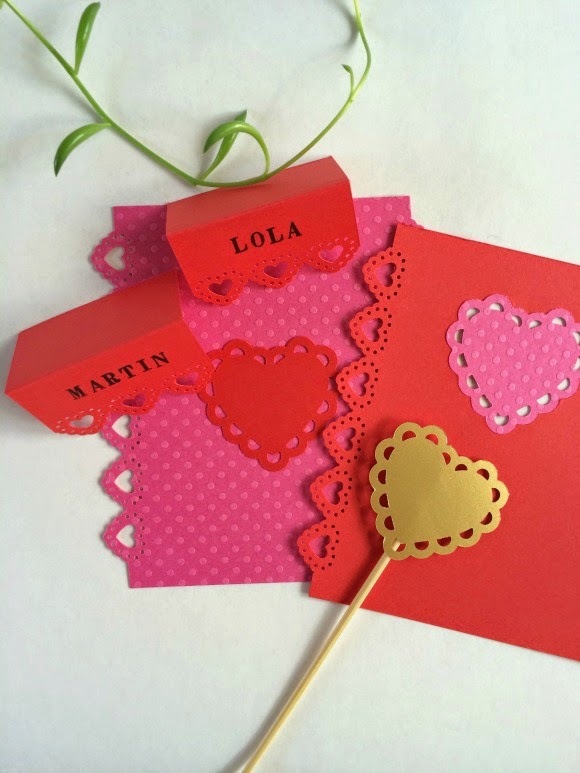 Martha Stewart Heart Craft Puncher - available on Amazon here. 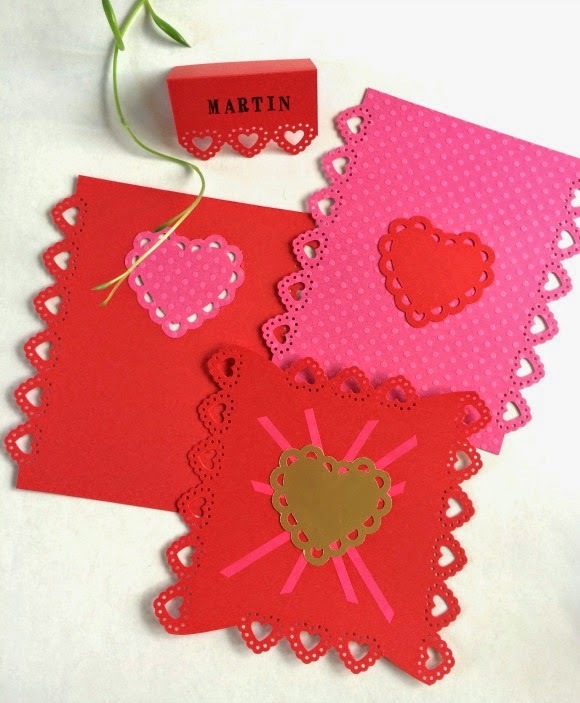 Martha Stewart Heart lace Craft Puncher - on Amazon here. 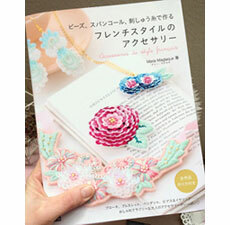 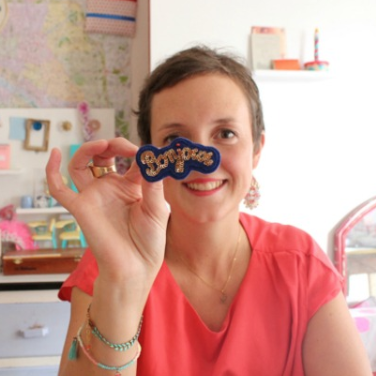 In Tokyo, I like to shop for craft supplies at WRAPPLE in Shibuya Parco (3rd floor) - check it out!